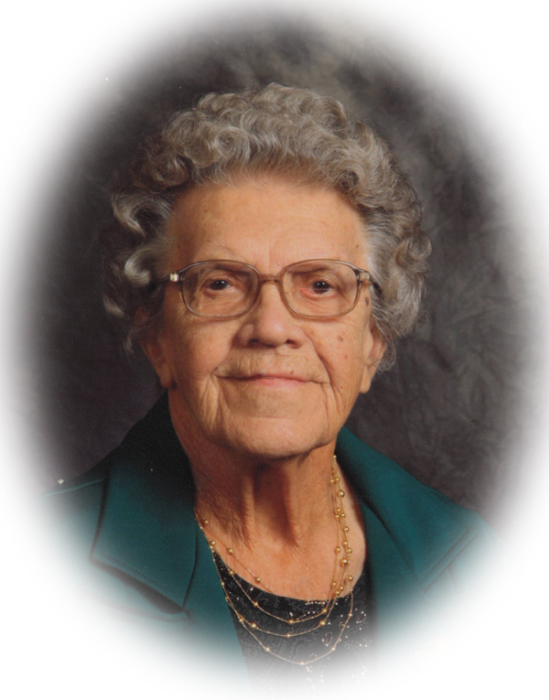 Obituary for Esther H. Ober | Sheetz Funeral Home, Inc.
Esther H. Ober, 98, of Mount Joy, passed away on Monday, February 4, 2019, at her residence. Born in East Hempfield Township, she was the daughter of the late Clayton S. and Elizabeth (Huber) Hershey. Esther was the wife of the late Phares S. Ober who passed away on June 1, 2012. Esther retired from Donegal Industries as a Sewing Machine Operator. She was a member of Mount Joy Mennonite Church. She enjoyed decorating, cooking and entertaining family and friends. Esther was known for keeping a neat home. Esther is survived by two daughters, Lois, wife of Charles Hess of Marticville and Linda, wife of Marlin Myers of Manheim; two granddaughters, Tina (Shawn) Beam and Lori Hess; and her brother, Levi Hershey of Lancaster. She was preceded in death by a sister, Anna Keener; and three brothers, Clarence and John Hershey and an infant, Norman Hershey. A Life Celebration service will be held at Mount Joy Mennonite Church, 320 Musser Road, Mount Joy on Friday, February 8, 2019, at 1 PM. A time of fellowship will follow the service. Interment to follow a time of fellowship at East Petersburg Mennonite Cemetery. Friends will be received at the Sheetz Funeral Home, 16 E. Main St., Mount Joy on Thursday, February 7, 2019, from 6 until 8 pm and again on Friday at Mount Joy Mennonite Church from 12 noon until 1 PM. At Esther’s request, please wear a red article of clothing in her honor. In lieu of flowers, memorial contributions may be made to Mount Joy Mennonite Church, Building Fund.